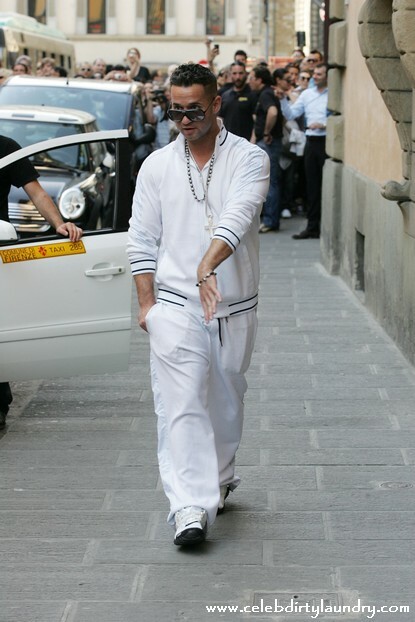 Deanna Nicole Cortes, Nicole Polizzi aka ‘Snooki‘, Sammi Giancola, Jenni Farley aka ‘JWoWW‘, Vinny Guadagnino, Ronnie Ortiz-Magro and Michael Sorrentino aka The Situation the ‘The Jersey Shore’ cast arrive at their town house in Florence, Italy to begin filming the fourth season of the popular reality show May 13th, 2011. The cast and MTV have been given a list of rules they must follow when filming in Italy. Basically if the Jersey Shore cast does what has made them famous in the US then they and MTV will be in big trouble. What do you think, can the Jersey Shore cast behave civilized?